PASADENA, Calif. — You’d never guess by watching Scottish actor Sam Heughan as the dashing highlander in the hotly-awaited “Outlander” that he’s painfully shy in person. “I have no interest in the celebrity side or people knowing who I am, to be perfectly honest,” he says, seated in a darkened pub in a hotel here. He certainly earned his wish with Starz’s mystical series which premieres Saturday. A married combat nurse in 1945 is suddenly hurled back in time to the 18th century where she meets an intrepid warrior, Jamie Fraser, played by Heughan. Heughan (pronounced HEW-an) brought his own trials to the role. His father left the family when Sam was 3. His mother was a student and worked odd jobs, including a stint as a clog shoemaker to care for her two sons. Later she taught and now works in the art of print and paper making. Though he spent his life without his father, Heughan, 34, was finally able to reconnect. “My father passed away a couple weeks ago . . . So I didn’t really know him a lot but I was very lucky. I got to spend some time with him just before he died,” he says softly. “I obviously hadn’t had any contact and knew very little about him, barely knew his name. I flew to Canada where he was living. He was very ill. I was lucky that we had this week, which was quite magical and tense and strange. My brother came with me. 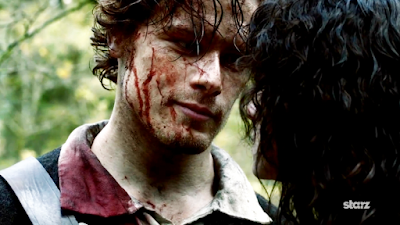 It was very rewarding,” says Heughan. 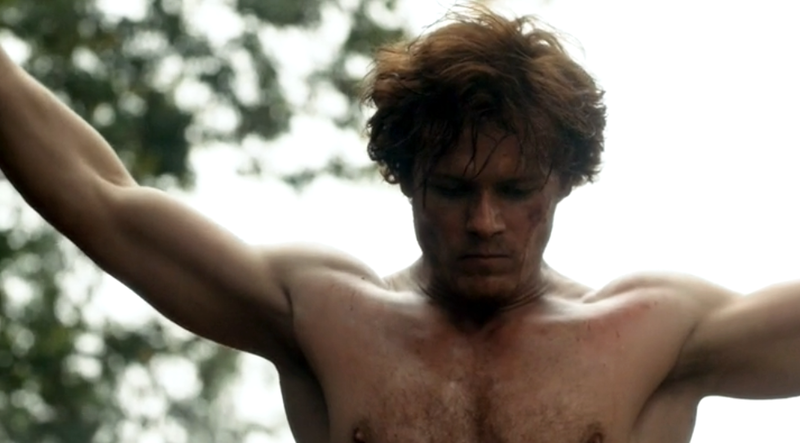 That life didn’t land a direct hit on acting, though Heughan was fascinated by the plays he saw as a teenager. “When I’d finished school I went traveling for two years,” he recalls. Heughan studied three years at the Royal Scottish Academy of Music and Drama in Glasgow where one tutor told him his first year that he couldn’t act. His second year he was cast as Romeo. “And something just clicked,” he snaps his fingers. Like his character in “Outlander,” Heughan is no stranger to castles and broadswords and rallying cries. “When I was a kid we lived in the countryside in the southwest of Scotland. We lived in old converted stables of castle grounds. So I lived in castle grounds as a child and I used to pretend I was Robert the Bruce or King Arthur and run around this old Kenmure Castle. It’s still there.